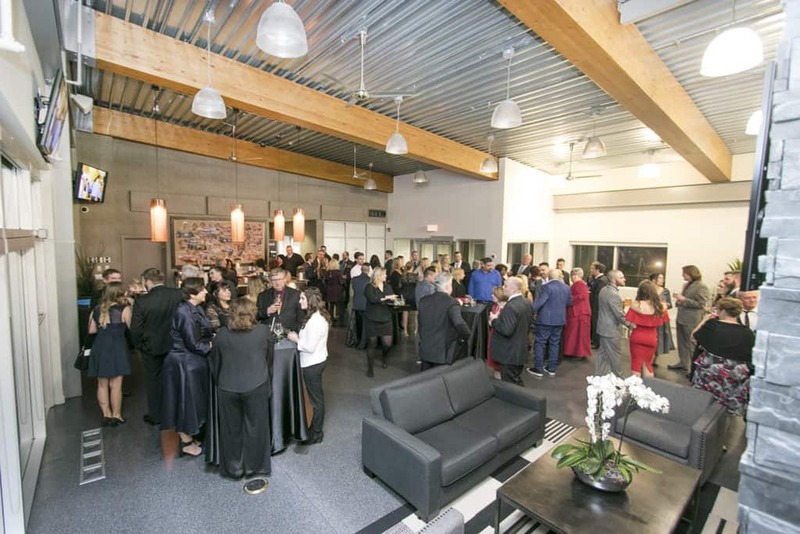 January 27, 2018, was an evening of celebration for the J.J. McGuire family at the beautiful Grand Prix Track Event Centre at the Canadian Tire Motosport Park where we honoured all of our employees, in particular, those reaching milestones, in service years, with J.J. McGuire. It’s one of the joys of management to recognize those whose ongoing dedication makes such a difference. 10-year awards went to Lisa Courtney, Paul DeSousa, Elizabeth Huckson, Ansu Konateh, Mike Moreira, Brent Roder and Shelley Welsh. 15-year awards were presented to Paul Henderson and Luigi Marsilio. The 20-year award was presented to Wayne Surette. The 25-year award honouree was Christina Moreira. The stars of the evening were our 30-year award recipients, Jack Huckson and Andy Wojtis. Everyone’s efforts and hard work are greatly appreciated. It was an evening of good fun, good food and relaxation. Best of all, it was in the company of the wonderful people who make up our team.